edit: please consult the CBCS website or call customer service for current prices and turn around times. The service will be streamlined, and will be aimed at providing first-rate pressing to our customers with the fastest turnaround time possible. Eventually we will have the pressing submissions integrated into the submission process in our online form. For now, customers who need their books pressed can submit their books directly to us, but write on the invoice that you want it pressed. We will press your books and send you an invoice. In the late 1980’s, Steve Ricketts started working for World Color Press, a printer of comic books and magazines. While working alongside colleagues from the comic book printing plant in Sparta, IL, which printed most of the comic books from the 1960's to the 1990's, he learned everything possible about comic book production. His experience and expertise in the comic printing industry grew over the next 25 years, with Steve achieving the position of Operations Manager at World Color Press. In 2007, Steve became interested in “comic pressing” as a non-invasive means of improving the appearance of the books in his collection. With his expertise in paper and comic printing, Steve began expanding his knowledge base concerning paper conservation and developing processes and procedures to press comic books safely and correctly. Over the next decade, he has worked tirelessly perfecting his craft and pressing thousands of comic books in the process. Recognizing customers’ need for the convenience of in-house pressing, Steve will now be utilizing his talent and experience for CBCS Pressing. One of the original CBCS team members and graders, Steve now serves an even more integral role at CBCS. As General Manager, Steve has been on the front lines of CBCS’s product development and marketing and has helped engineer many of our innovative products, services, and procedures. As a lifelong comic collector, Steve’s love of the hobby and years of experience in the comic printing and comics industry have made him an essential component to the success of CBCS. 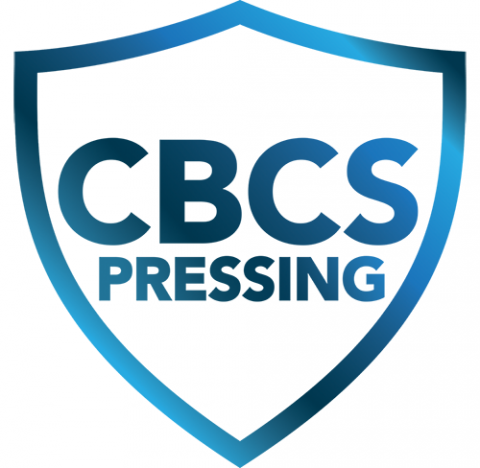 CBCS is proud to be able to offer our new "in-house pressing," service with Mr. Ricketts at the helm. His knowledge of conservation, experience in pressing, and history with CBCS as a Grader and our General Manager, have made him the perfect choice to expand our service. "In-house pressing" is the next logical step for the evolution of CBCS, and Mr. Ricketts has the experience to lead the way. Is screening for whether suitable pressing candidate or for expected min grade after pressing? Can I make an adjustment to an order submission that occurred at ABQ Comic Con? Does the press include cleaning? Is the prescreen price in addition to the press price or is it only charged if the book is rejected for pressing? You know, when CCS came under the CGC umbrella, a lot of people or fans of CBCS condemned the move on social media (how can you guarantee impartiality, etc). I wonder where those same conspiracy theorists are now? But I guess it is all cool though, right? Personally, I think it is a smart business decision and makes sense but the more things change, the more things are the same. I feel like this could create a conflict of interest much like CCS being a supposedly separate entity, yet down the hall from CGC. 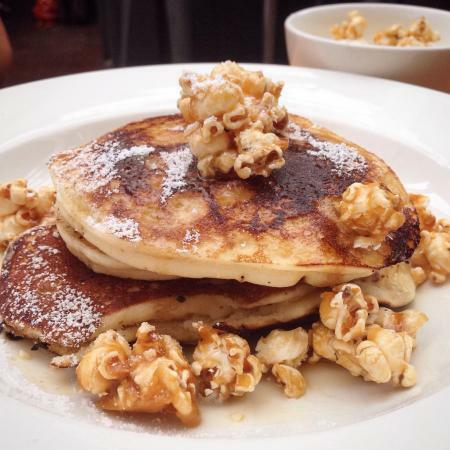 Scared to speak up after #PancakeGate? Seriously, this whole thing is balls now. I dont think so. Restoration work in-house is a big difference from making pancakes. #pancakegate grinds my gears a bit more now though. Over the past year or so, I have learned that "never" is a much shorter span of time than I originally thought. They made their grader a presser who will no longer grade books. Why can't a grading company just grade books. WHY WHY WHY ?!?!? 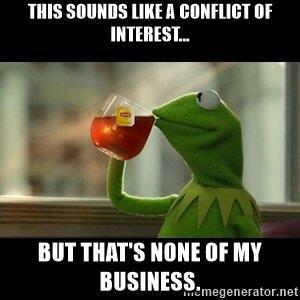 Grading your own work is a conflict of interest. How about getting your turn around times down how about fixing the forums and other web base stuff. Why did it seem like a good idea to open up a pressing shop. Now we know why they didn't want the pancake recipes out there in the aether! The biggest conflict of interest is charging a percentage of fair market value to grade a book. I can't understand how a grading company would NOT be incentived to over-grade a book when its fee is dependent on the value and, hence, the grade. Providing in-house services like pressing certainly presents a potential conflict also. But my expectation is that the graders will not know when a book is pressed in-house. Joey's prices are better. I can deal with no fast pass. This thread is getting good. Gonna get some popcorn to go with my pancakes. I submitted a few days ago and asked my books pressed in-house. I had found out about the in-house pressing a few days ago through an email with cbcs. The price is higher than I thought, and I wrote quick press on books I didn't think needed cleaning ,but it's not an option. I'm exited to see how this turns out. Regardless, my submission will be in their office tomorrow. So I will need to call in and change all those "quick presses" to regular press submissions. I hope he knows his way around a griddle! Well he sure does like to keep his flapjack recipe close to the cuff. @CBCS Could you please give insight on this? - if I submit a stack of books under expanded or consumer with a lead time of around eight weeks and send a few for pressing, when the pressing is done in four weeks do they go back with my books that are just sitting there or do they have to go to the end of the line? Or worse, under a new invoice with different shipping? - Will the grading team have any indication if a book they are looking at has been pressed in house? - Will Steve be grading his own work? On more of a thread discussion note, CGC is currently in trouble for trashing other peoples work in order to promote their own. Assuming CBCS does not go this route ( we know they will with amateurs, but that's a whole different kitchen ), keep things professional and updates the website for a streamlined process, this could be a really good thing. I actually wish I would have known this with my last submission, I would have thrown on an extra few books just to see what Steve can do! The idea that they will give better grade simply because the pressing is done in house while plausible could just as easily be done by an outside company. If CBCS wanted to they could just give "incentives" to outside 3rd party company's to insure that they get better work or results. We will have to wait and see how it goes but I'm actually glad it's a service they offer now and having Steve on the project I think will be really good as somebody else already pointed out he does check these forums and has his ear to the ground on what customers want and expect.